Jose G. Christiano Neto, M.D. Jose Guilherme Christiano, M.D., F.A.C.S., is a board-certified plastic surgeon, Fellow of the American College of Surgeons, and Assistant Professor of Surgery at the University of Rochester Medical Center. He is also Board-certified in General Surgery, Trauma, and Surgical Critical Care. Dr. Christiano received his medical degree from Faculdade de Ciencias Medicas da Santa Casa de Sao Paulo in Brazil. Following graduation, he served in the Brazilian Army as a flight surgeon. He then returned to Santa Casa and completed his residency in general surgery, as well as a fellowship in medical and surgical critical care. Upon coming to the United States, Dr. Christiano joined the University of Connecticut as an intern in general surgery. He transferred to the University of Tennessee at Knoxville after his internship, where he completed general surgery training and a fellowship in trauma and surgical critical care. Dr. Christiano then moved to Baltimore for plastic surgery residency at the Johns Hopkins University/University of Maryland program.?Dr. Christiano has been the recipient of numerous awards including the Scott B. Frame, M.D. Memorial Trauma Scholarship, the Howard C. Filston Administrative Chief Resident Award, the Hiram Crutchfield Resident Teaching Award, and the Kimball Maull Lectureship In Surgery Award, among others. In addition to being a member of several professional medical organizations, Dr. Christiano has presented his work at meetings throughout the United States. He has been involved in several research studies. 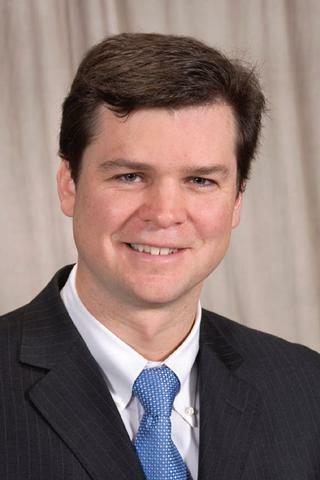 He also devotes time to plastic surgery education, both at the local level as teaching faculty in our plastic surgery residency, and nationally as part of the American Society of Plastic Surgeons' In-Service Examination Committee. Dr. Christiano has a wide array of professional interests including microsurgery, breast reconstruction, reconstruction after cancer and trauma, abdominal wall reconstruction, wound healing, reconstruction for complications associated with cardiac devices, transgender surgery, post-massive weight loss reconstruction, body contouring, and cosmetic surgery.? Dr. Christiano speaks English and Portuguese. He enjoys his time away from the hospital with his wife and son. Together, they ski, bike, swim, play soccer, and enjoy the outdoors. Roussel LO, Khouri JS, Christiano JG. "Pedicled Flap Closure as an Adjunct for Infected Ventricular Assist Devices." Annals of plastic surgery.. 2017 Jun 0; 78(6):712-716. Christiano JG. "Redesigned electronic medical notes allow automated clinical data extraction and decrease provider documentation time". Plastic and Reconstructive Surgery. 2016; in press. Roussel LA; Khouri JS; Christiano JG. "Pedicled flap closure as an adjunct for infected ventricular assist devices". Annals of Plastic Surgery. 2016; in press.